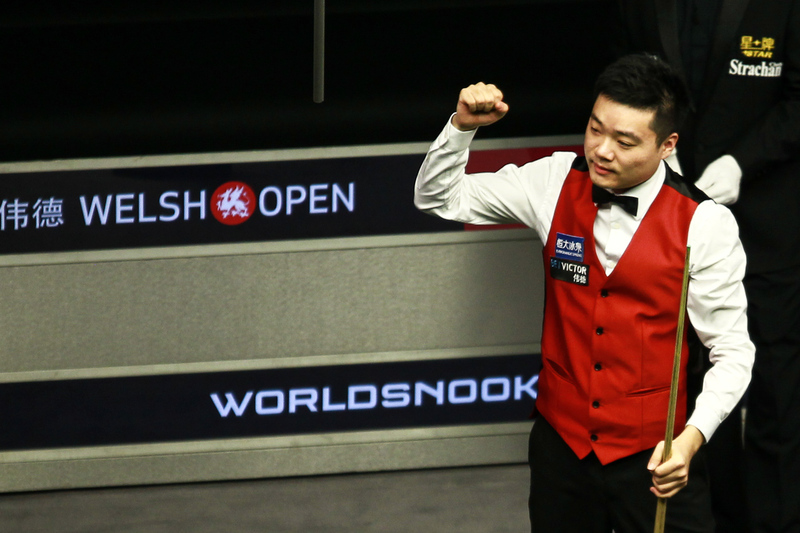 Ding Junhui made a brilliant 147 during his quarter-final at the BetVictor Welsh Open, but finished up on the losing side as Neil Robertson won 5-2. The Chinese cueman’s perfect score came in the sixth frame, when he was 4-1 down, as he potted 15 reds with blacks and cleared the colours. Robertson then took the next frame to win the match 5-2 and he goes through to the semi-finals at the Motorpoint Arena in Cardiff to face Mark Allen or Michael White. It’s the sixth maximum of 28-year-old Ding’s career and only Ronnie O’Sullivan (13), Stephen Hendry (11) and John Higgins (7) have made more. The 147 is worth £10,000 from the rolling prize pot for ranking events, plus the £2,000 high break prize, as long as it is not equalled this week. O’Sullivan had the chance of a 147 earlier in the week but played for the pink from the 14th red and finished with a 146. Ding’s maximum is the 117th in snooker history and third of the season after Robertson’s at the UK Championship and Marco Fu’s at the Gibraltar Open. And it’s the sixth 147 in the history of the Welsh Open, with O’Sullivan scoring two and one apiece for Hendry, Barry Pinches, Andrew Higginson and now Ding. Australia’s Robertson had earlier made breaks of 140 and 72 in building a 4-1 lead, and the world number three secured victory by dominating frame seven. 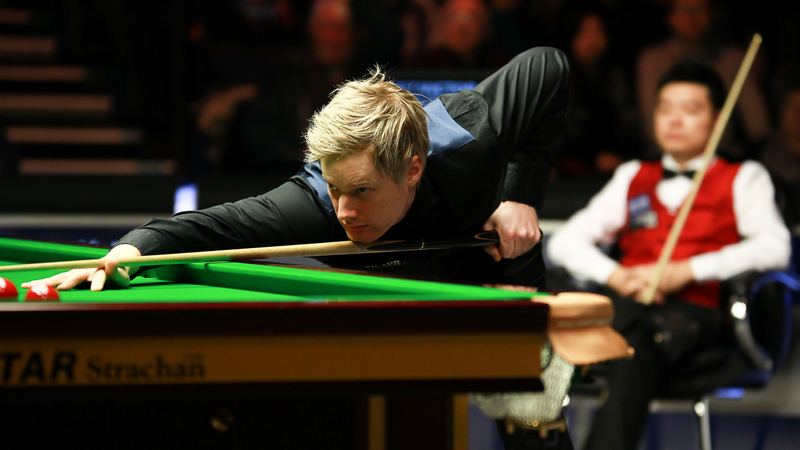 He is chasing his third title in four months having won the Champion of Champions and UK Championship before Christmas. As for Ding’s 147 he added: “I had the feeling all week it might happen, after Ronnie made the 146 and with so many good players left in the draw. Ding’s positional play was beautiful – there were a few tense moments on the colours but he held himself together really well. It was a fantastic break.